Cheesecake is definitely a decadent treat, and it also happens to be my Valentine’s favorite treat. So I tasked myself with making a lower sugar version that he would like and I would feel good about. The reason I don’t feel great about most cheesecake recipes is that they are often higher in sugar than they need to be. Sugar is usually not only added to the filling, but also to the crust even though the crust is made out of graham crackers, which already have sugar in them. To recap, cheesecake usually has sugar in the graham crackers making up the crust, more sugar in the crust, sugar in the filling, and more sugar in the topping. I strive for the sweets I make to be nutrient-rich and also lower in sugar, but of course I also want them to taste good. I really believe that our tastebuds adjust. 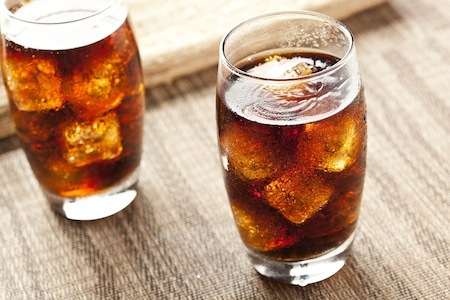 When we are used to eating sweets and drinking sugar-sweetened beverages, we can’t appreciate natural sweetness as much. My motto is “always sweeten it yourself,” because if you buy the pre-sweetened variety of yogurt, oatmeal, or desserts, the food companies almost always add more sugar than you would. When you add the sugar yourself, it’s a great visual cue. When the sugar is already mixed in, we have no concept how much sugar a food actually contains. When you add the or sweetener yourself, you actually see how much you are adding. 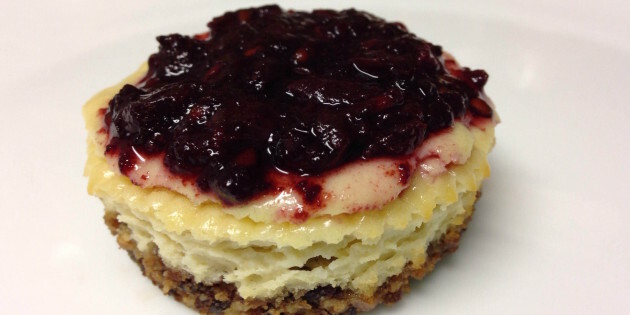 To give you some perspective on the sugar content of this recipe, one of the most decadent cheesecakes out there is probably from the Cheesecake Factory which boasts 710 calories and 62 grams of carbohydrates (the majority from added sugar). 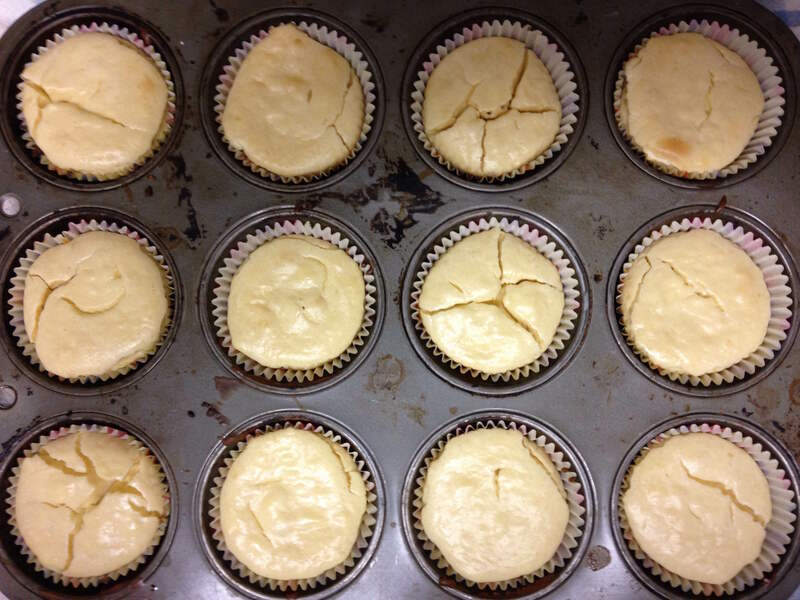 A standard cheesecake recipe from the Joy of Cooking has about 15 grams of added sugar (and 274 calories). 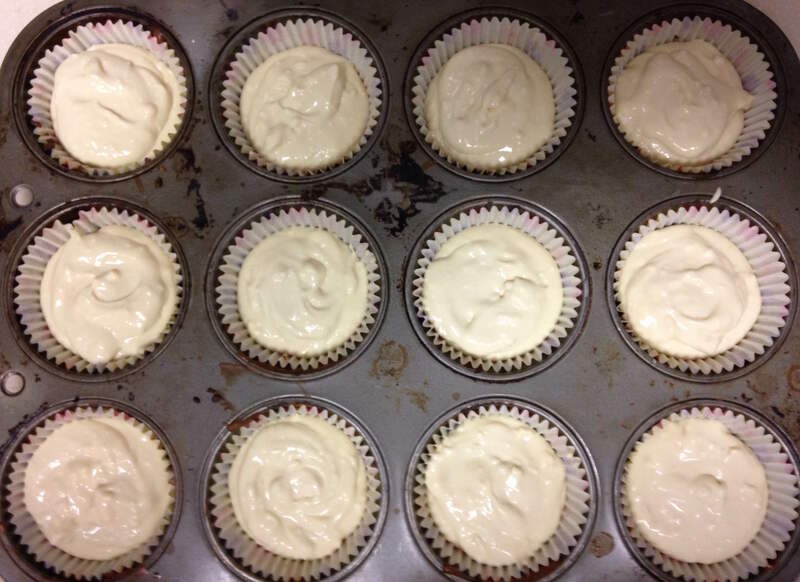 These cheesecake cupcakes have 6 grams of added sugar each. There will be some more added sugar if you add a sweet topping, but a light spread of low sugar jam (or fresh fruit with no added sugar) will only add a minimal amount. Preheat oven to 350 degrees. 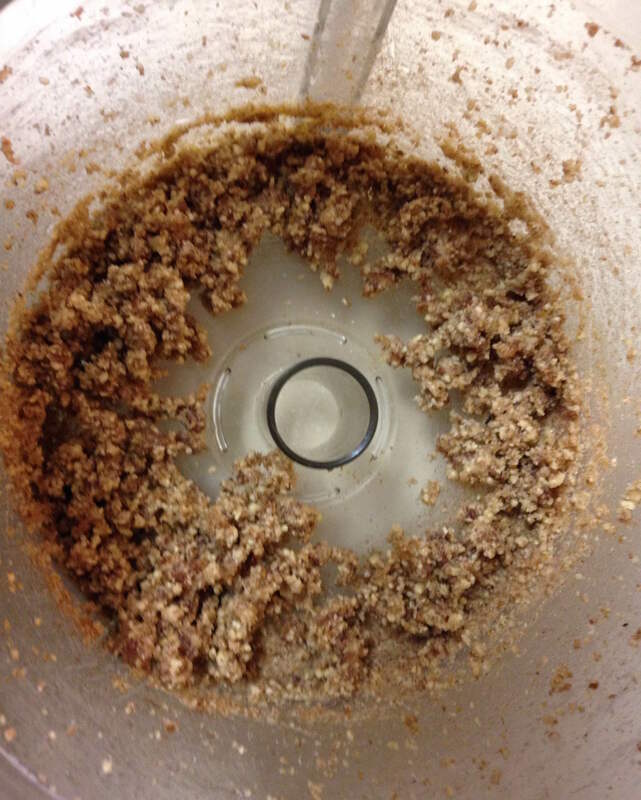 Add all crust ingredients to the food processor or blender and pulse until mixture forms a sticky dough. (See picture above.) 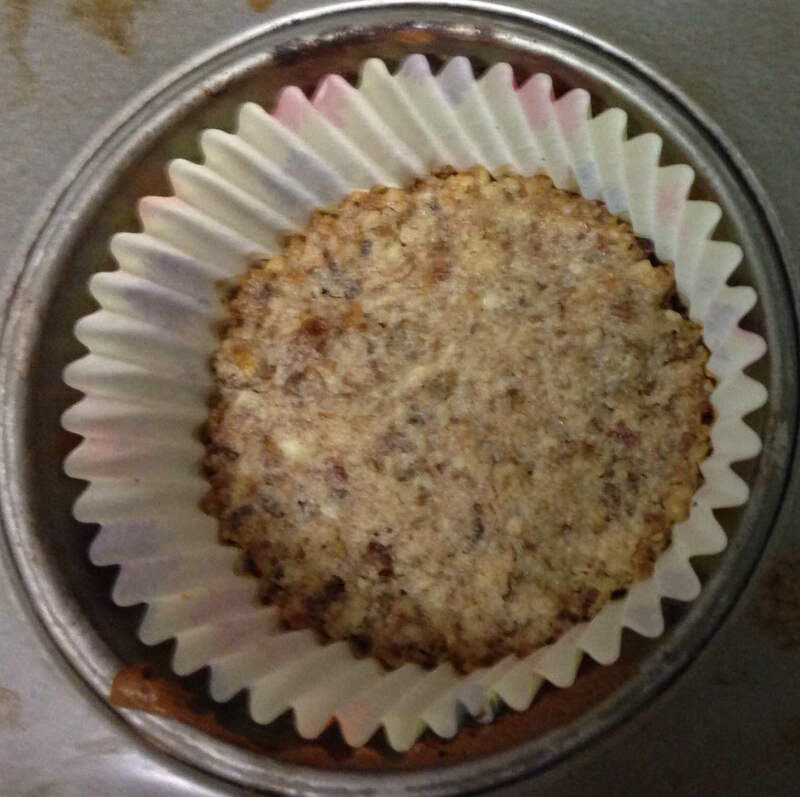 Press about 2 teaspoons of the pecan mixture into each of 12 cupcake/muffin wrappers in a standard size muffin pan. Bake at 350 degrees for 10 minutes. 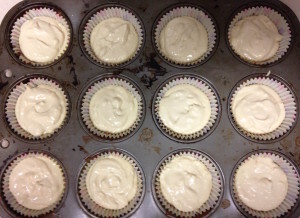 Remove from the oven and allow to cool while you prepare the filling. Beat cream cheese in a large bowl with a hand mixer. 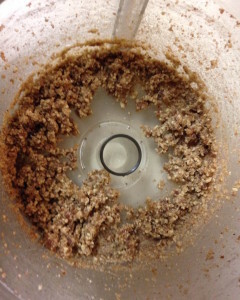 Add eggs one at a time beating until well-mixed. Add maple syrup and vanilla slowly while continuing to beat. 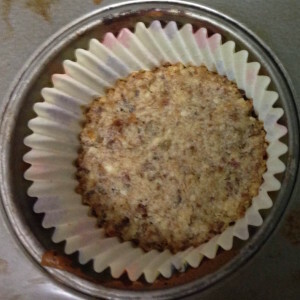 Pour about 3 tablespoons of the filling onto each cooled pecan crust. Bake at 350 degrees for 25 minutes. Remove from the oven and cool for 30 minutes. 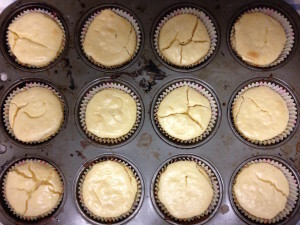 You will notice that the cupcakes tend to puff up in the oven and the top may have cracks. Once removed from the oven, that puffiness will go down. Remember the cracks will be covered up by your favorite fruit topping. Move to the refrigerator and allow to cool for another 30 minutes. Add fruit topping of your choice such as fresh strawberries, raspberries, or blueberries. Alternatively, you could add a drizzle of honey to sliced strawberries for a little more sweetness, or simply spread some low sugar jam on top. Here I used some of my low sugar Juneberry freezer jam on top. 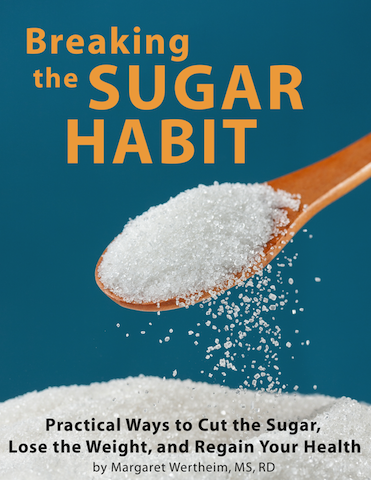 Do You Need to Curb Your Sugar Intake? Take this quiz to find out!